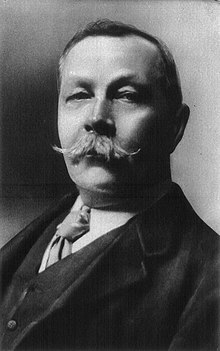 About the Book: "The Adventure of the Abbey Grange", one of the 56 Sherlock Holmes short stories written by British author Sir Arthur Conan Doyle, is one of 13 stories in the cycle collected as The Return of Sherlock Holmes. 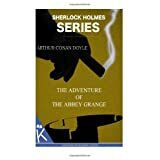 My Review: In this story, Holmes wakes Doctor Watson up early one winter morning to rush to a murder scene at the Abbey Grange near Chislehurst. Sir Eustace Brackenstall has been killed, apparently by burglars. Inspector Stanley Hopkins believes that it was the infamous Randall gang, a father and two sons, who have committed several other burglaries in the neighborhood. Holmes and Watson arrive at Abbey Grange, where Lady Brackenstall is resting with a purple swelling over one eye, the result of a blow during the previous night's incident. There are also two red spots on her arm. Her maid, Theresa Wright, who has been with her mistress since she was born, later tells Holmes that Sir Eustace stabbed her with a hatpin. Lady Brackenstall tells Holmes that her marriage was not happy. Sir Eustace Brackenstall was a violent, abusive drunkard. Moreover, Lady Brackenstall found it hard to adjust to life in England after the freedom that she enjoyed in her native Australia, which she left 18 months before. She had been married for about a year. She then tells what happened. She says that about 11 o'clock, she walked around the house to check it was secure before going to a bed. In the dining room, she encountered an elderly man coming in the French window, followed by two younger men. The older man struck her in the face, knocking her out. When she came to, she was tied to an oaken chair with the bellrope, which they had torn down, and gagged. Then Sir Eustace came into the room, and rushed at the intruders with a cudgel. One of them struck and killed him with a poker. Lady Brackenstall fainted again for a minute or two. She saw the intruders drinking wine from a bottle taken from the sideboard. Then they left, taking some silver plate. Sir Eustace's body is still lying at the murder scene. The poker has been bent into a curve, suggesting a strong attacker. Hopkins tells Holmes some unsavory things about Sir Eustace: He poured petroleum over his wife's dog and set it alight, and once threw a decanter at Theresa. Theresa says Sir Eustace physically and verbally assaulted his wife, especially when he was drunk. Holmes examines the knots in the bell-rope, and the frayed end. He notes that if the bell-rope was tugged hard enough to tear it down, the bell would have rung in the kitchen, and asks why nobody heard it. Hopkins answers that it was late, and the kitchen is at the back of the house, where none of the servants would have heard. This suggests that the burglars must have known this, indicating a link between them and one of the servants. Oddly, the thieves did not take much, only a few items of silver plate from dining room. The half-empty wine bottle and glasses interest Holmes. The cork had been drawn with the corkscrew of a "multiplex knife", not the long corkscrew in the drawer, and one of the glasses has beeswing dregs in it, but the others have none. It is odd that they didn't drink the entire bottle. Holmes also draws Watson's attention to the wineglasses. The presence of beeswing in only one indicates that only two people used the glasses; they poured the dregs into the third to make it look as though there were three. Holmes deduces from this that Lady Brackenstall and her maid lied. Upon returning to the Abbey Grange, Holmes climbs on the mantelpiece, examining the severed end of the bellrope, and a bracket upon which he must kneel to reach it. Holmes has now developed the killer's profile: 6 ft 3 in (191 cm) tall, active, dextrous, and quick-witted. He cut the bell-rope with a knife, and frayed the loose end to make it look broken. But he could not reach the end still hanging from the ceiling, which is cut clean. Sir Eustace's blood is on the seat of the oaken chair. How could a splatter have landed there if Lady Brackenstall was bound there before her husband's murder? Holmes confronts Lady Brackenstall and Theresa. He tells them he knows they are lying and demands the truth. But Lady Brackenstall stands by her story. On the way out, Holmes notices a hole in the ice on the pond, and writes a note for Hopkins. Holmes searches for the killer: almost certainly a sailor (indicated by the knots and the active physique), who was previously acquainted with Lady Brackenstall, and whom she and Theresa would protect. Her only contact with sailors was on her voyage from Australia, and only with the officers of her ship (her social equals). Lady Brackenstall traveled by the Rock of Gibraltar of the Adelaide-Southampton Line, which is now halfway to Australia. However, the ship's first officer, Jack Croker, has been promoted to captain. He has remained in England and in two days will take command of the company's new ship, Bass Rock. His employers describe him as a splendid fellow - hot-headed ashore, "but loyal, honest, and kindhearted." Holmes takes a cab to Scotland Yard, but does not go in. He tells Watson he is reluctant to name the criminal to the police until he knows more. That evening, Inspector Hopkins calls at 221B Baker Street, with two items of news. As suggested in Holmes' note, the stolen silver was found at the bottom of the pond. Why should the burglars have put it there? Holmes suggests that the theft was a blind - a deliberate false clue. But Hopkins rationalizes that the pond was chosen as a temporary hiding place. The other news is even more problematic. The Randall gang was arrested in New York that morning, so they couldn't commit a murder in Kent the previous night. But there are other gangs of three burglars; Hopkins will look for them. He asks Holmes if he has any hints to offer. Holmes reminds him of his suggestion of a blind, but Hopkins pays no heed, and leaves. Later that evening, Captain Croker comes to Baker Street, summoned by a telegram from Holmes. Holmes demands a full account of what happened at the Abbey Grange that night. He warns Croker that he has already deduced most of it: if Croker lies or conceals anything, he will summon the police. Croker met Mary (Lady Brackenstall) on the voyage from Australia. He fell in love with her, but not she with him. He was even pleased to hear of her marriage to a wealthy gentleman. Then he happened to meet Theresa, who told him of Sir Eustace's abusive behavior. He met secretly with Mary at the house; the last time on the previous night. They were in the dining room when Sir Eustace burst in, insulted Mary, and struck her with the cudgel. He then attacked Croker, who killed him with the poker, in self-defense. Croker adds that he has no regret whatever, for he would not leave Mary in "in the power of this madman". To avoid the scandal that could ensue, Croker and Theresa concocted the cover story of burglars caught in the act. He cut down the bell-rope exactly as Holmes deduced; he opened the wine bottle with his pocket knife's corkscrew; he took some silver plate, and dropped it in the pond. Holmes tells Crocker that the police don't yet know the truth, and that he will wait 24 hours before revealing it, allowing Croker to get away. Croker indignantly refuses the offer - he will not leave Mary to "face the music" as an accomplice. He offers to agree to any version of the case that will leave Mary out of it. But Holmes was only testing him, and is impressed by his loyalty to Mary. He has given Hopkins "an excellent hint" and doesn't feel he must do more. He designates Watson as the "jury", and asks him to "render a verdict". Watson declares Croker "Not guilty." Holmes tells Croker he will keep silent unless someone else is charged, and that he may come back to Mary in a year. 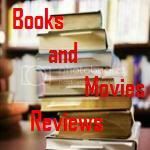 Excellent plot, I recommend this book to any reader who appreciates a well written mystery story.